Anthony Woodson, 5, disappeared in August of 1981 after supposedly riding to a Mansfield convenience store with his uncle. Earlier this month, that uncle, Terry Woodson, was arrested for the boy's murder. MANSFIELD, Texas— Authorities have made a stunning arrest in a 37-year-old cold case involving the disappearance of a five-year-old boy. 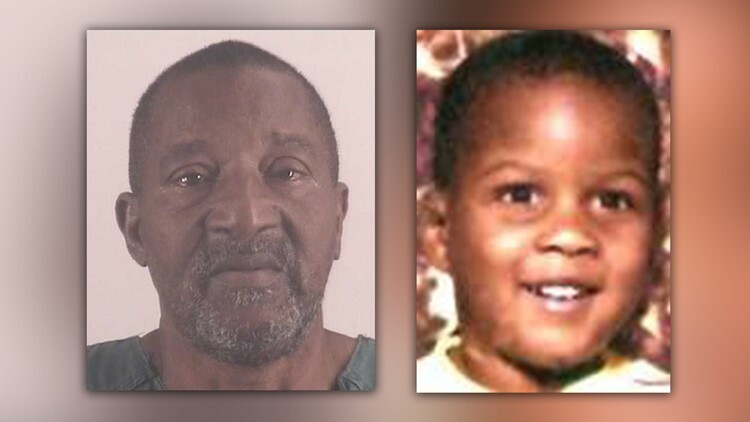 According to the Mansfield police, little Anthony Woodson was thought to have disappeared in August of 1981 after riding to a Mansfield convenience store with his uncle. Earlier this month, that uncle, Terry Woodson, was arrested for the boy’s murder. He’s currently in the Tarrant County Corrections Center on a $200,000 bond. An indictment says Terry Woodson, now 64, hit Anthony “…WITH AN ELECTRICAL CORD OR WITH AN ITEM THAT IS UNKNOWN.” Terry Woodson would’ve been 27 at the time of the disappearance. Police say that numerous interviews with the uncle starting in 2017 revealed that Anthony was, in fact, beaten to death during the course of “discipline” on or around August 29, 1981. Anthony’s remains have yet to be located. Police did say that information provided by Terry "...has been corroborated by witnesses and official statements." but it wasn't clear why the boy's remains haven't been found. “Anthony rode with an uncle to a 7-11 convenience store on east Broad Street in Mansfield, Texas on August 29, 1981. When they arrived, the uncle went into the store to make a purchase and left Anthony asleep in backseat of the car for a few minutes. Anthony's uncle didn't notice his nephew had disappeared from the vehicle until after he'd arrived home.